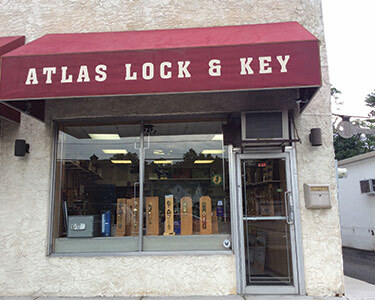 Family owned and operated, Atlas Lock & Key Co. Inc. is the number one locksmith company in Bergen Country, New Jersey. We provide full-service sales, installation, and maintenance of decorative designer hardware, deadbolts, push button combination locks, keyless entry systems, high security locks, premium quality safes, hinges, exit alarms, and more for both residential and commercial properties. When it comes to security, few things are more valuable that a reliable quality lock. That’s why Atlas Lock & Key Co. provides comprehensive locksmith services in Bergen County, NJ, and the surrounding areas. We always take the time to consult in depth with you about your specific security needs, to ensure we help you choose the system that provides you with the most privacy and safety. We specialize in installing all types of locks, deadbolts, lockout resolution, cylinder combination changes, access control locks, safes, exit alarms, electric releases, electronic access control systems, and master key systems for you entire building or condo complex. Visit our showroom to enhance the protection and design coordination throughout your home. We are fully licensed and insured, with license number #34LX00003100. We are proud members of the Better Business Bureau, Society of Professional Locksmiths and North Jersey Master Locksmith Association. We have been family owned and operated for more than 40 years. We proudly serve Bergen County and Passaic County, NJ, as well as Rockland County, NY. If you’re in need of a locksmith right away or find yourself with a security situation that needs a keen, professional eye, make Atlas Lock & Key Co. Inc. your first and only call.